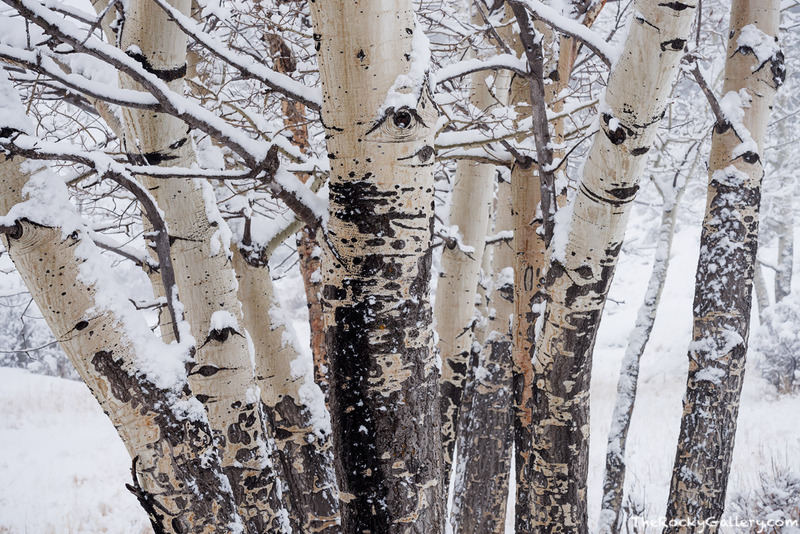 A light winter snow is falling on this group of Moraine Park aspen boles on a quiet February morning in Rocky Mountain National Park. The wind is silent and one could only hear the trickle of the Big Thompson River under a layer of winter ice. Photo © copyright by Thomas Mangan.